The Kessel Aqualift F Basic lifting station is the latest model in their range of quality lifting stations. Developed to satisfy the requirements of modern sewage technology it can handle any job in private households with its powerful pump. 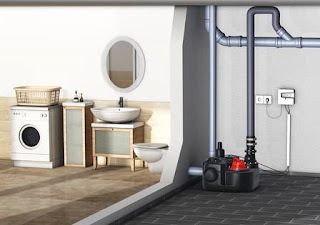 Designed for handling wastewater from drainage fixtures such as toilets, showers or sinks; flexible connection options mean that it can be installed with minimum space requirements. The control unit ensures continuous monitoring and a safe control of the lifting station. Powerful, tough pump with run dry feature which ensures reliable operation. Large float switch with high buoyancy and 3 positions (ON/OFF/ALARM) for fail-safe and precise pump control. Ø 110 mm at any position. There’s no Show like a Flow Show! IPS Flow Systems On The Road to You!